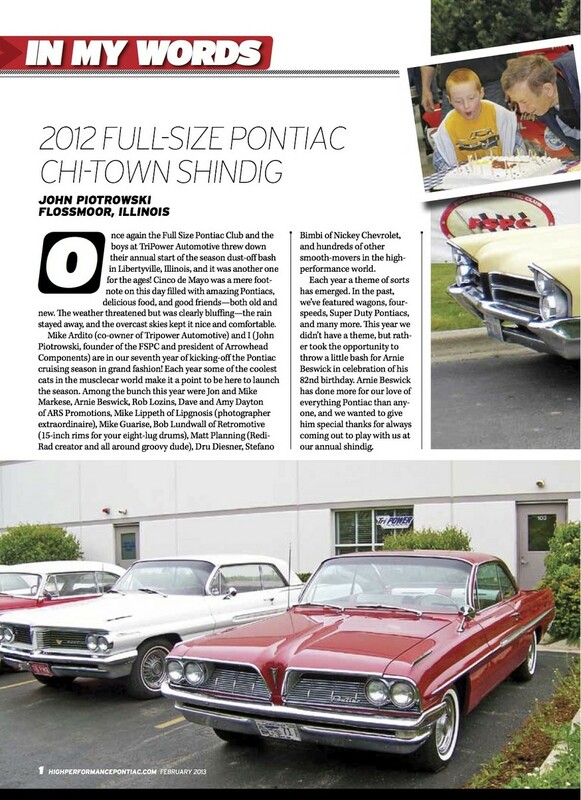 Our 2012 Shindig was covered in the February 2013 issue of High Performance Pontiac. 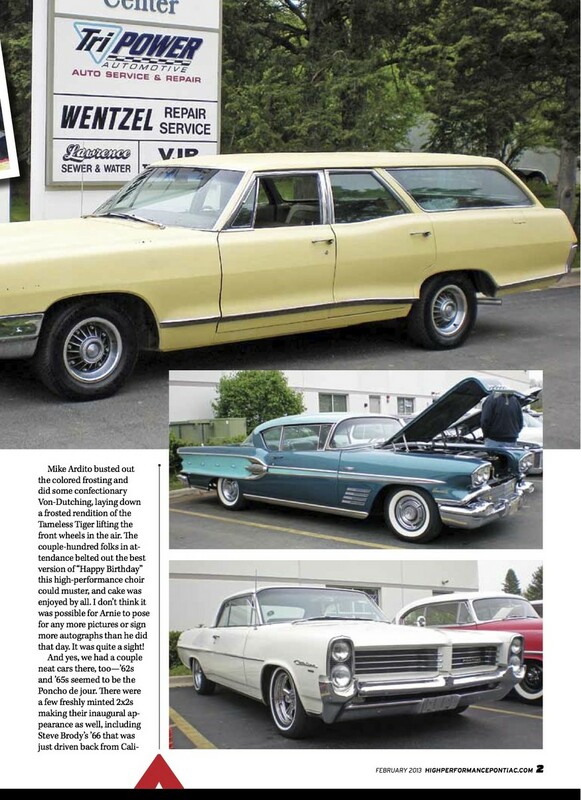 HUGE props to Christopher Philip for the full color, three page slot! 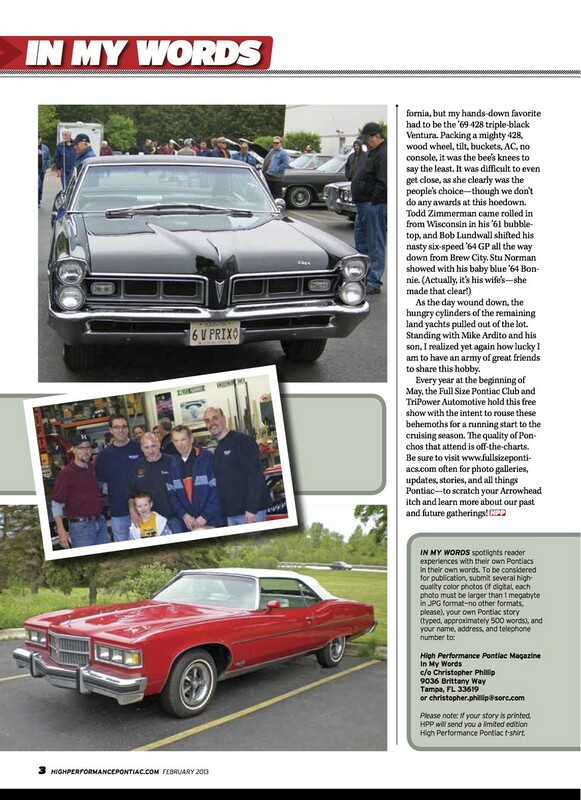 This is just a proof of the story so go out right now and pick up an issue to see the different pics and updated story. Go on, get out there and buy it.